SBS Group has served the business and technology needs of professional services firms in the SMB and Enterprise sector for nearly 30 years. In that time, we have learned that changes in technology, business processes, regulatory requirements and even customer expectations go with the territory. We’ve made it our business to understand the positive and negative impact of changes within the professional services sector in order to help our customers best leverage their investments in Microsoft Dynamics AX ERP. 2016 is certainly no exception to the “rule of change” as advancements in cloud computing, mobility and application lifecycle management have provided our team with powerful new tools that allow us to innovate and deliver like never before. We’re proud to say that our newest offering, AXIO for Professional Services, is the result of these tools, our 30 years of field experience and feedback from more than 1,000 professional services firms that rely on SBS Group today. Is everything changing in 2016? Of course not. Large professional services firms are dealing with many of the same challenges today that they were when SBS Group first entered the scene. They still need to consistently win and deliver comprehensive projects at a profit. It is the “how” that is changing more dramatically than ever before. A successful firm must promote efficiency throughout the organization, which can be extremely complicated because of the amount of moving parts. Delivering profitable projects to customers involves putting the right employees in the right place, managing customer expectations, and keeping costs in check. At the same time, project teams need to work in concert with financial and operations teams to ensure clients are billed accurately, revenue is recognized, and employees are paid on time. And, to keep the company growing, the selling organization must successfully bring in new business despite lengthy and often complicated sales cycles. Each area of the business is essential for success, but cannot function efficiently without input from the other. Successful firms have always relied on the smart use of technology to drive efficiency, accountability and productivity across all stakeholders. Unfortunately, tailored or completely custom technology solutions come at a price. The time, dollars and mindshare requirements involved in deploying integrated solutions often becomes prohibitive. 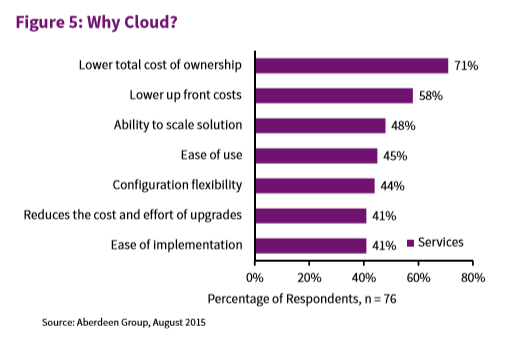 Firms end up settling for outdated legacy systems, inefficient stand-alone software and ‘one size fits all’ applications that only capture a portion of the value cloud computing can deliver. How is AXIO for Professional Services Changing ERP in 2016? AXIO for Professional Services combines the old-school values of one on one consulting and subject matter expertise with the rapid, cost-effective nature of cloud computing. We’ve wrapped 30 years of expertise and technology advancements together inside Microsoft Dynamics AX and made it accessible in a matter of clicks through Microsoft Dynamics Lifecycle services. It is in the cloud, yes, but we’re talking about much more than an “app” with the limitations of products like NetSuite. AXIO for Professional Services is a comprehensive global enterprise class ERP solution built on the entire Microsoft stack and specifically tailored to address the complexities of project-based professional services companies, including resource management, project management, marketing, human capital management, and financial management. Advanced analytics and reporting powered by Microsoft Power BI gives you unparalleled insight to make more informed decisions and gain control of all of your critical business functions. Built on the Microsoft Dynamics AX platform, it is optimized for cloud, on premise, or hybrid deployment. Dynamics AX provides proven global scalability and enterprise-class extensibility and AXIO for Professional Services is compliant with all GAAP, IFRS, Sarbanes-Oxley, and DCAA requirements. Because it is based on Dynamics AX which works like and with familiar Microsoft software, AXIO for Professional Services is easier to learn, implement, manage, and use than alternative solutions. Universal integration of resources pools, skill-sets, projects, and finances across any number of countries, companies, or other entities. The solution can scale to a virtually unlimited number of Dynamics AX users. With flexible deployment options in the public or private cloud, on-premises or a hybrid solution, the flexible and extensible systems architecture provides an agile business platform enabling rapid response to market or organizational changes. AXIO for Professional Services provides mobile access to the most crucial areas of business functionality with native apps for iOS, Windows and Android. By leveraging the LCS business process modeler built for Dynamics AX, SBS Group is able to develop and deploy proven solutions and best practices to optimize data and work flow for professional services companies. Not only do AXIO for Professional Services customers enjoy a faster, cloud-driven deployment of Dynamics AX, but they also have the option to choose a fixed-price deployment up front. SBS Group has packaged our Microsoft LCS deployment of AXIO for Professional Services to include an end-to-end deployment. Not all companies will choose this route, but those that do are likely to realize as much as 50% reduction in implementation costs. This is where things get really interesting. I’ve mentioned Microsoft Dynamics Lifecycle services more than once in this post and for good reason. Microsoft Dynamics AX and LCS are both cloud solutions; LCS being the “application lifecycle management” and the vehicle for the overall enterprise deployment. SBS Group has been able to capture proven business processes, best practices and even software customizations within LCS that enable a uniquely effective deployment for mid-sized and enterprise professional services firms. Side-note: Although many Microsoft Dynamics AX partners will leverage LCS over the coming years, few have tapped into this resource to the degree SBS Group has. SBS Group has worked with the LCS solution for over 6 years (3 years before the product officially launched to market). SBS is also a premier Cloud Service Provider with a deep roots in delivering software as a service. It is for these reasons that SBS Group is leading the charge in cloud delivery of custom industry solutions using Microsoft Dynamics Lifecycle Services. By minimizing time and money spent during solution deployment, project and business leaders are able to focus on more effectively outlining internal needs and aligning deployment goals with organizational objectives. In traditional deployments, “technology needs” often trump business process alignment in order to create a reasonable scope and budget. 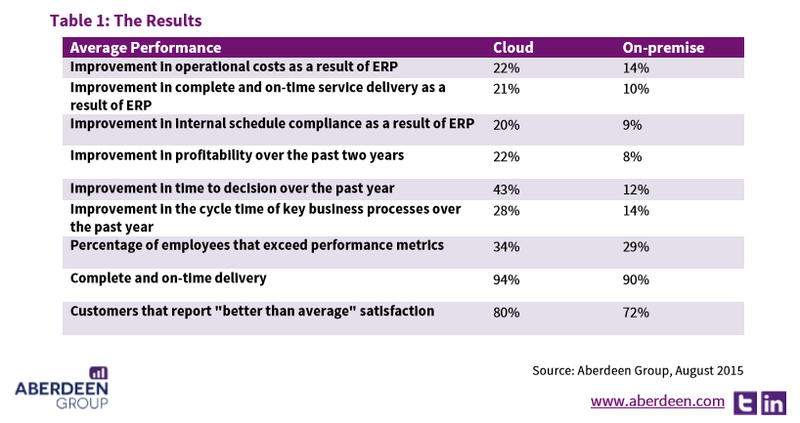 Companies leveraging the cloud for Dynamics AX ERP see some pretty significant improvements as outlined by Aberdeen in this report published in late 2015. SBS Group has earned Microsoft’s Confidence. We’re proud of our close relationship with Microsoft and enjoy our reputation as an innovator in the Microsoft Dynamics AX Channel. We’ve leveraged this relationship to ensure AXIO for Professional Services maintains the highest level of quality, including weekly meetings with Microsoft product management and business development teams. AXIO for Professional Services won’t be a fit for all firms, but we are confident that our solution encompasses an impressive value mix, including cloud computing, mobility, comprehensive functionality, integration between systems…and of course, the net business acumen of one of the largest Dynamics consulting teams worldwide. To learn more, or see AXIO for professional services live, check out our on-demand video series featuring Microsoft Dynamics AX and Dynamics LifeCycle Services.